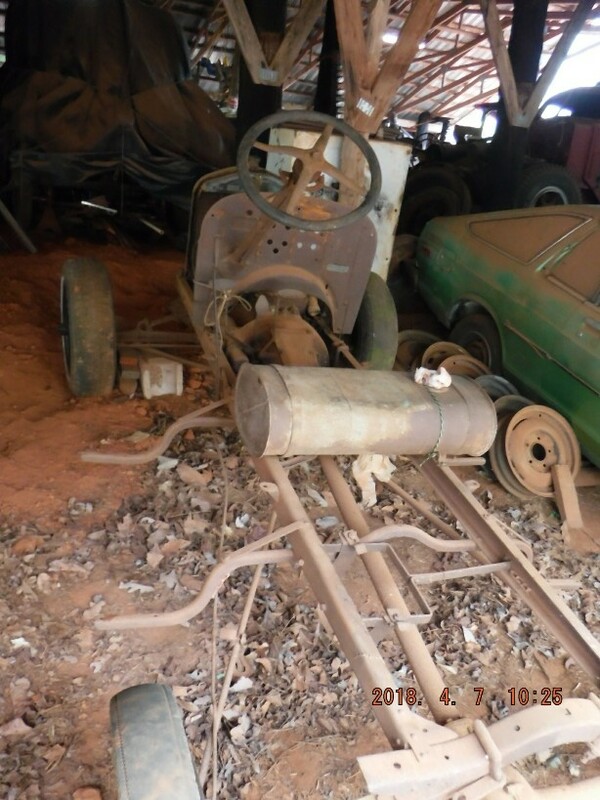 This probably qualifies for today's standard of a barn find except this was never lost. My grandfather moved if from barn to barn ( 50s to 90s) until my father retired and then he moved if from barn to barn (90s to 2018). 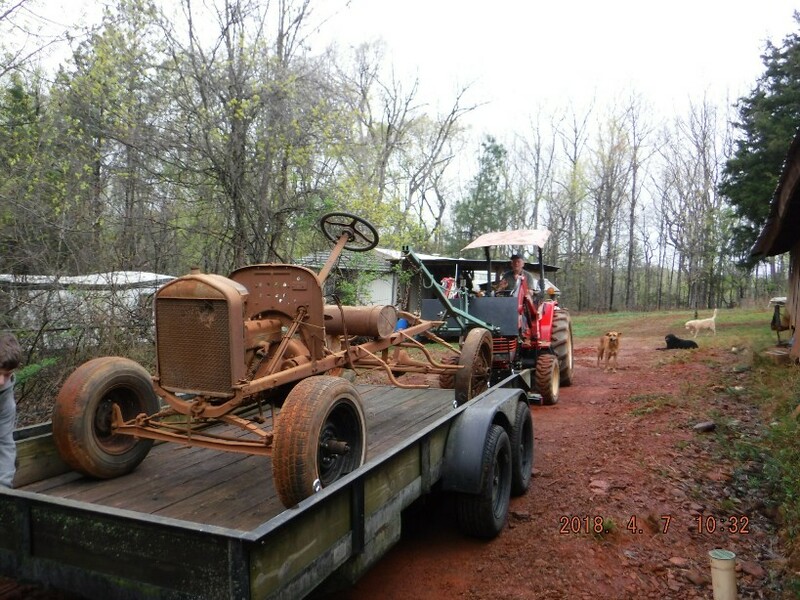 My father and his friends used to drive this all over Hart County GA just as you see it, no seat, no body. They sat on the gas tank and let the mud fly. 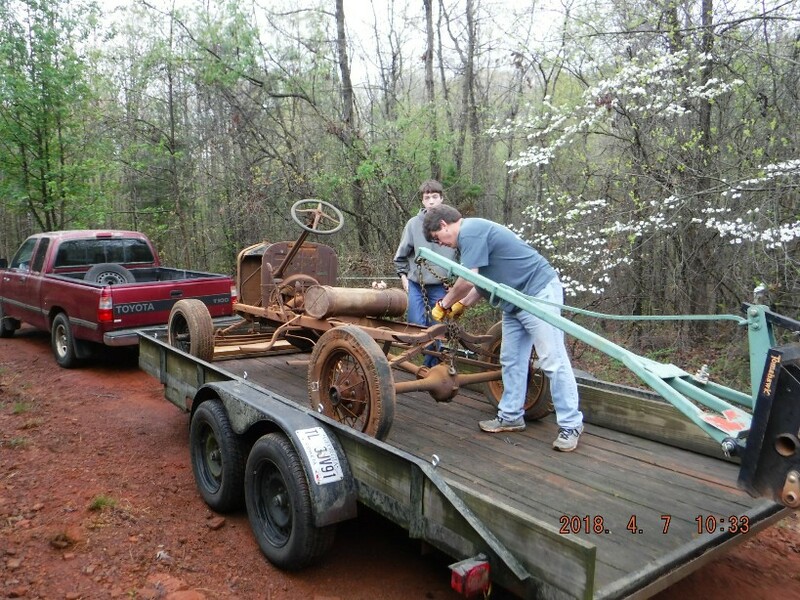 It had less rust back then and 4 wire wheels that matched. For the last 50 years I've been told it was a 1916 but after getting it home and using a rotary wire brush I was able to confirm it's a 1927. The last digit was so deep in rust it couldn't bee seen. I was looking for a long term project and I do believe I have finally found it. 26 engine in 25 or under running gear? 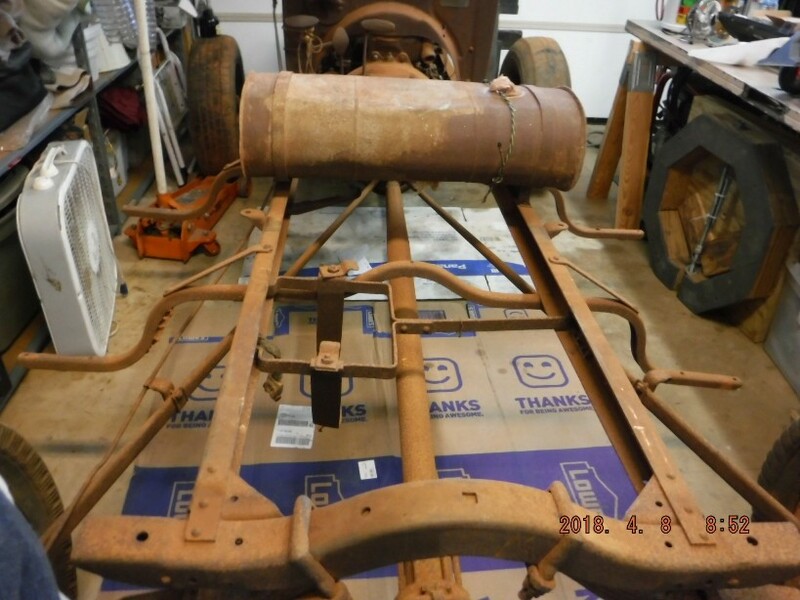 That's a 1925 passenger car & '25 to '27 TT firewall also ! Is that an 11 or a 14 million engine number ? Oh - I also like the jib for the tractor ! Yep,fun is to be had.I bet it was a bear to steer with those wide tires on the front.Is the engine stuck? The tractor boom is apparently a 3 point hitch boom on a attachment in place of the front bucket. I will be looking at that picture more closely as I like the idea. Looks like other project cars in that barn. Is that green thing a Datsun 210? You could probably sell that and pay for most of the restoration. 14841028 for years we thought it was 1484102 couldn't see the 8 on the end. The boom so a 3 point hitch design of my father's he built that himself. He has written up an article for a Farm Show publication but it hasn't been published yet. 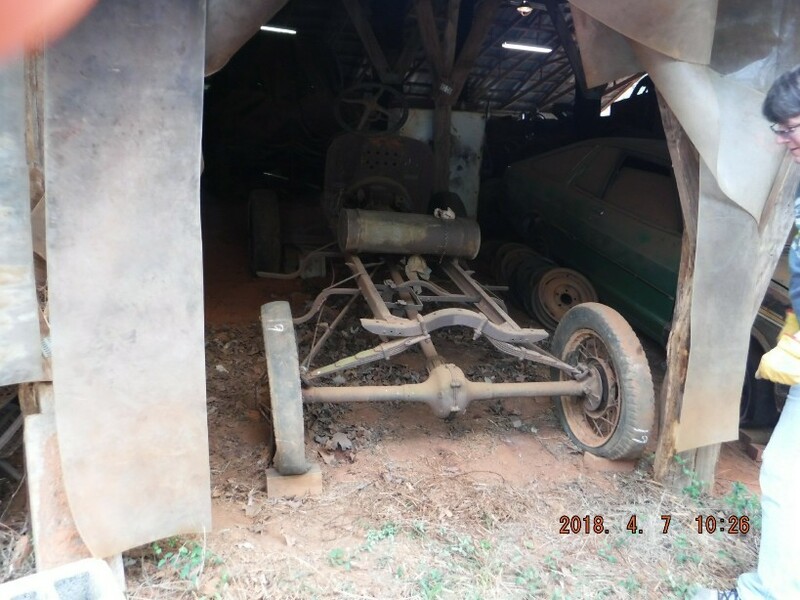 There are 2 Datsun B210s in the barn. One with 200k miles my brother, sister, and I all drove in high school and colleges; the other one in the background was spare parts for the first. 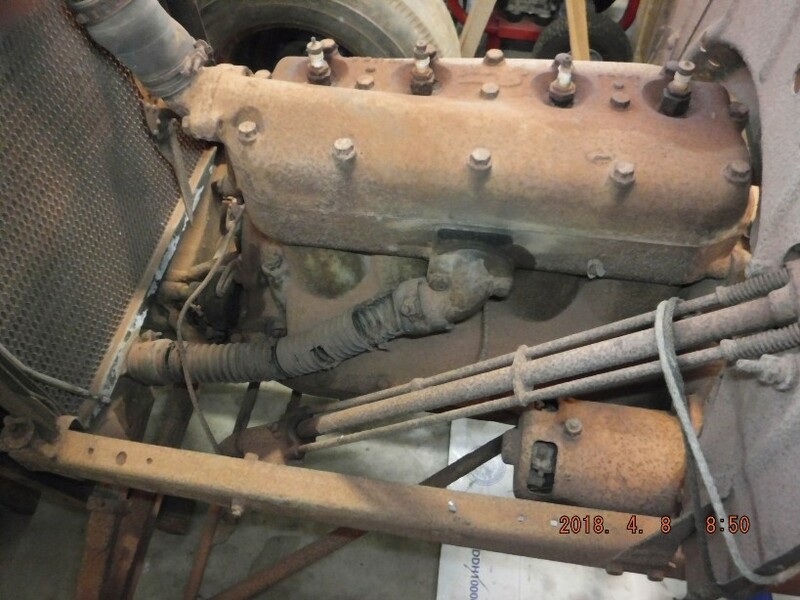 The rear axle looks like 1921-1925. Have you looked for the frame number? Haven't looked for the frame number yet. In a few days I'll pressure wash the clay off and see if anything turns up. I hope you find a real T body or build a truck cab for it. 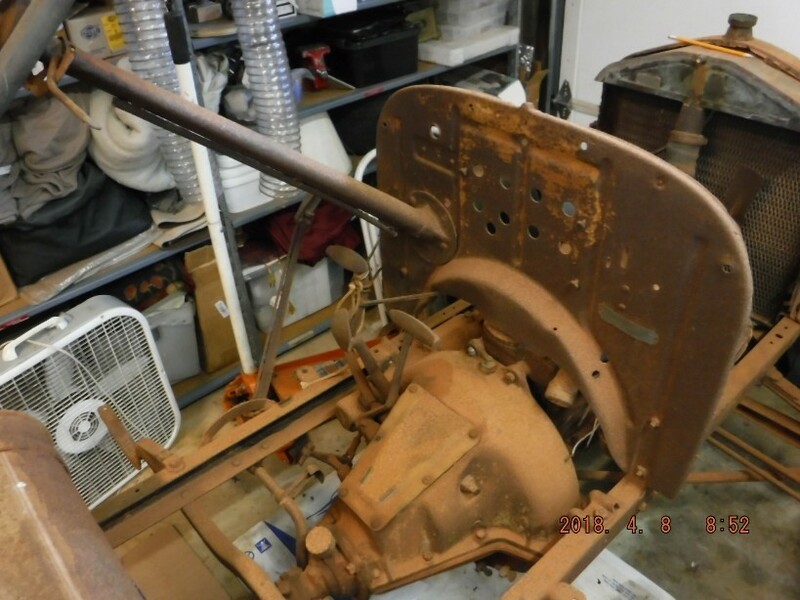 It's a pre-'26 frame - no number - no "double" outboard r.b. holes in the r.b. support brackets. Engine most likely replaced some time in the past. 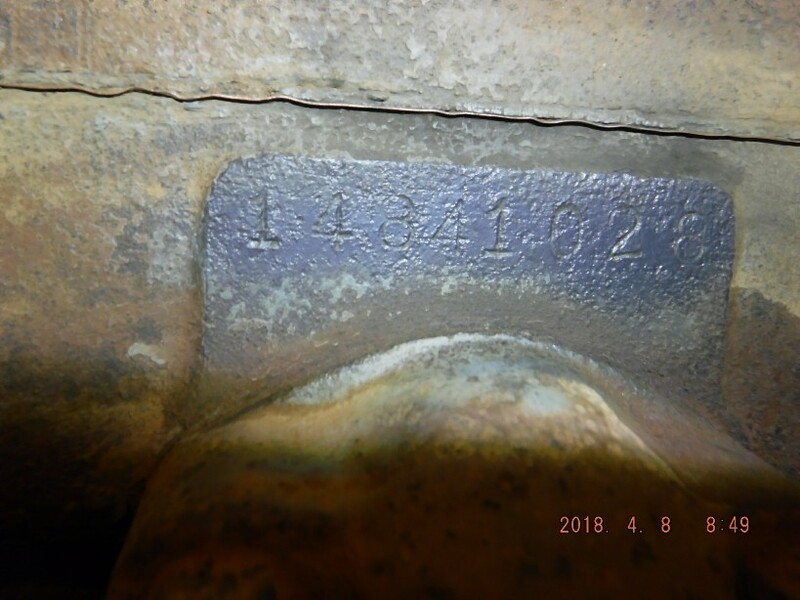 The engine number records show that engine made on 29 March 1927. 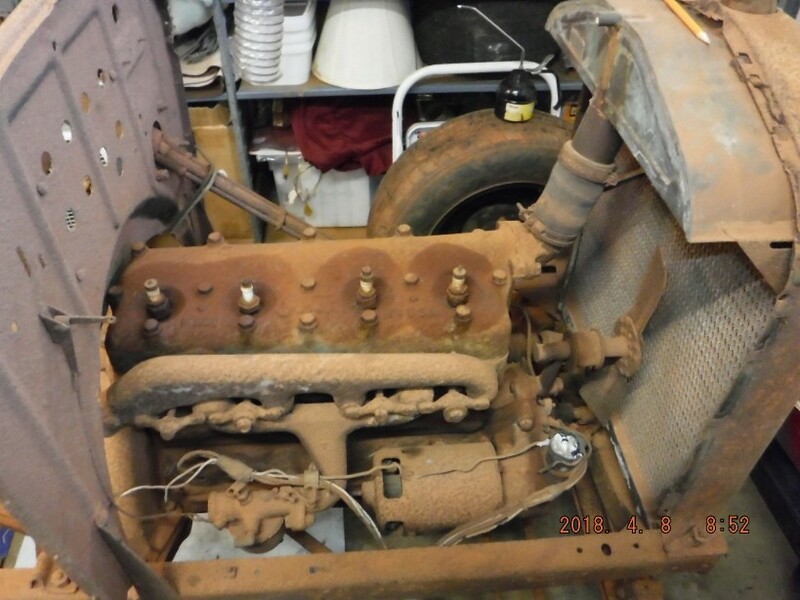 That is clearly a late engine, that was made only about two months before production ceased, as verified by the two transmission bolts to the block. It's neat that you physically own something that was part of your family like that. I think I'd get it going and maybe make a seat for it and call it good...just to keep it somewhat like it was back in the your dad's youth. I have an unused express seat frame if you're interested. It is very cool because it was in the family. My dad's dad had a Model A he drove and parked on their farm in south florida and my dad's grandfather had a 25 T coupe he drove until he passed in the early 60sand it too was parked and sold later for junk. So heck yeah it's cool.My dad likes my old cars because I do but doesn't care about anything old and he is 77. He will always make time to tAlk about them with me though and that's good enough. Mmmmm, reminds me of my old sweet boy 24 with those big tires. Yeah, the steering can be a bit heavy like that. I got used to it. I like it! How the heck? A late TT firewall? Like Larry reminds us to do our research, I did a little and... Didn't get it. Not just the coil box holes.? Clues? I'm clueless again. How many barns does your family have?